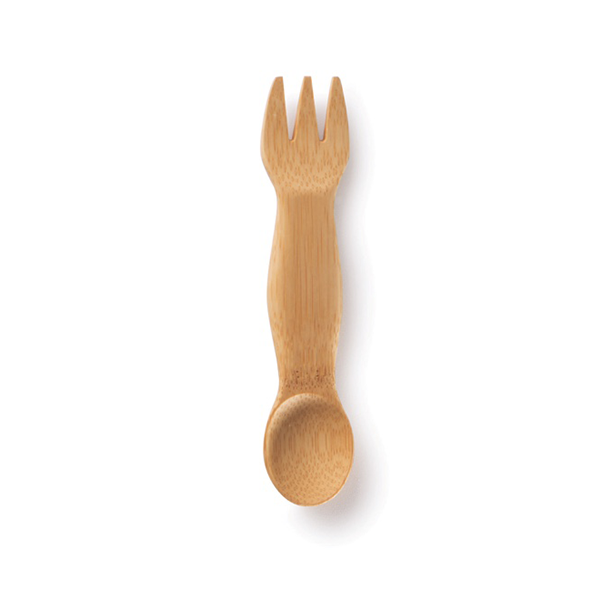 As the clever name suggests this is a fun 2-in-1 fork and spoon made from organic bamboo. It has a specially designed handle that is easy to hold and control while the prongs of the fork end are finished to be not too sharp. 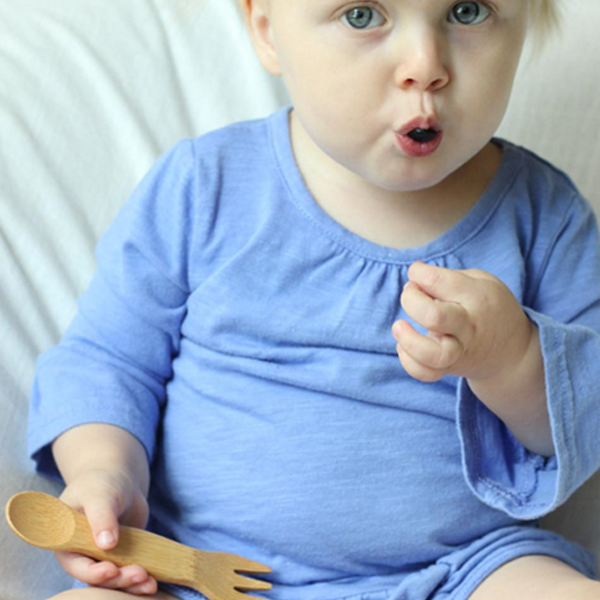 Toddlers will love to use the fork to eat their meal before swapping to the spoon for pudding! 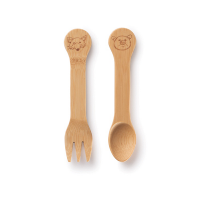 Made from a single piece of organically grown bamboo it is hand shaped and finished with an organic food grade oil. Bamboo is more durable than wood and is heat & stain resistant.